Nicola Birkhan was born in Freiburg and took her first violin lessons at the age of four. She completed her violin studies with Ulf Hoelscher in Karlsruhe, Gérard Poulet in Paris and Kolja Blacher in Hamburg, graduating with honors. Master classes, inter alia, with Igor Ozim, Gerhard Schulz and Rainer Kussmaul supplemented her education. She was a multiple first-prize-winner at the Federal German “Jugend musiziert” competition (in 1994 both in the violin and viola solo category) and received a number of encouragement and special prizes (among others, the Eduard Söring Prize fro the German Musical Life Foundation and the Special Classical Award from the WDR). There followed prizes from international competitions in Herlen in The Netherlands (2nd prize), Fermo, Italy (34d prize) and Caltanisetta, Sicily (1st prize). Nicola Birkhan has received grants from the Jürgen Ponto Foundation, the “Villa Musica” Foundation and the Baden-Württemberg State Collection and made CD and radio recordings as soloist for EMI, WDR, SWR and ORB. As a chamber musician, she has performed at a number of festivals at home and abroad, along with such major artists as Martin Ostertag, Ulf Hoelscher, Hartmud Rohde, Antje Weithaas and Gustav Rivinius. She was a member of the National and State Youth Orchestras and played as a substitude with the Berlin Philharmonic. 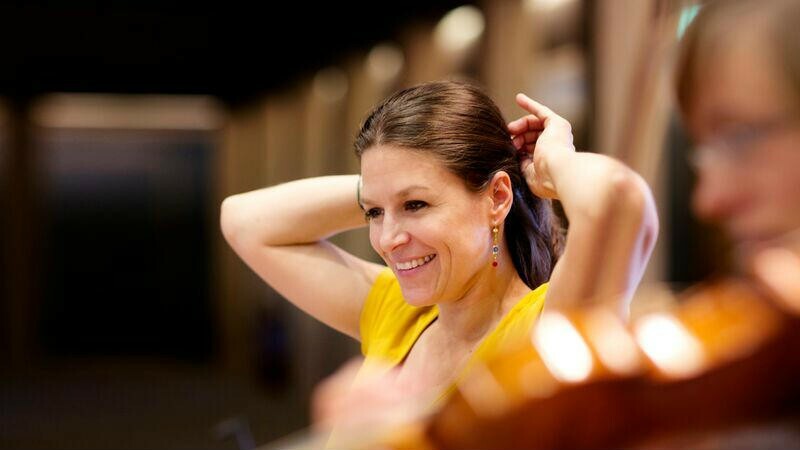 She has also played ince 1999 regularly in the Mahler Chamber Orchestra, founded by Claudio Abbado. Nicola Birkhan has been a member of the Symphonieorchester des Bayerischen Rundfunks since June of 2005.